Hanna is an activist and environmentalist. She really cares about the earth, health, and people. She is kind and smart. 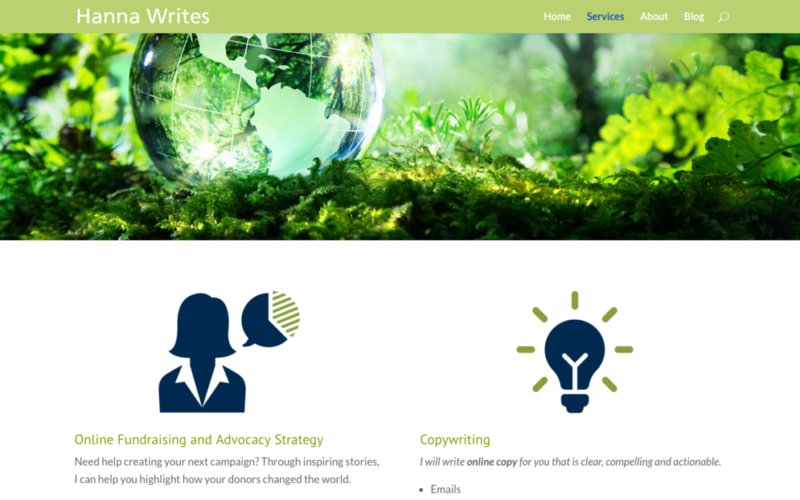 I just finished working with her on her website, Hanna Writes, where she offers creative copywriting for good causes. All work done and presented under Chez Match, Inc.
© copyright and all rights reserved.